Hadrosaurus was a herbivore (plant-eater) that lived in North America during the Cretaceous period between about 80 and 75 million years ago. An adult Hadrosaurus has been estimated to be about 30 feet (9.1 meters) long and weigh around 7 tons. Like other duck-billed dinosaurs, Hadrosaurus is believed to have generally been bipedal, but could walk on 4 limbs when feeding. The story of the discovery of Hadrosaurus is quite interesting. The first fossilized bones of the animal were discovered by John Estaugh Hopkins in 1838 near Haddonfield, New Jersey, who then displayed them in his home. These bones were seen by William Parker Foulke in 1858, who returned to the excavation site (now a national historic landmark - the "Hadrosaurus Foulkii Leidy Site") and found additional bones in conjunction with a paleontologist, Joseph Leidy. Leidy subsequently named the species Hadrosaurus foulkii in honor of his collaborator. Leidy wrote a description of the Hadrosaurus, complete with illustrations, in 1860, but the American Civil War delayed publication until 1865. 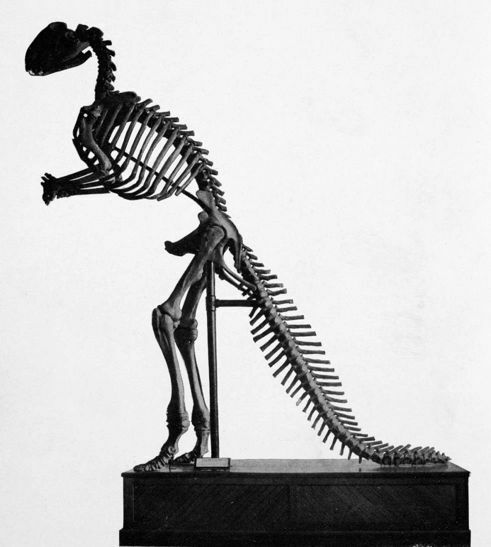 Leidy, contrary to prevailing views at the time, correctly reconstructed the skeleton as bipedal, and a complete the skeleton was reconstructed in this form in 1868 - the first mounted dinosaur skeleton. It should be noted however, that only one skeleton of Hadrosaurus has ever been found, and this specimen lacks a skull (among other bones). Reconstructions of the animal are therefore usually done using skulls of related species. Because of the lack of specimens, which makes it difficult to perform comparisons with other species, many scientists consider Hadrosaurus to be a "nomen dubium" - a dubious name. North American Dinosaurs - Hadrosaurus lived in North America. Hadrosaurus was a genus of dinosaur. Hadrosaurus is considered by some to be a "nomen dubium" (a scientific name of unknown or doubtful application) - because only a few fossils have been found (one very incomplete skeleton missing a skull and many other bones), and, as a result, it is impossible to compare it to its relatives for classification purposes. Hadrosaurus was a member of the Ornithischia ("bird-hipped") order of dinosaurs. What this means, is that although Hadrosaurus was not closely related to birds, it did have similarly shaped pelvic bones. 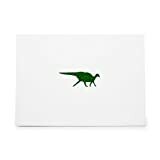 Hadrosaurus was a Hadrosaur (usually known as "duck-billed dinosaur") - a member of a group of related herbivorous (plant-eating) dinosaurs that were very successful in the Cretaceous period. Hadrosaurus lived between about 80 million years ago and 75 million years ago, during the late Cretaceous period. Hadrosaurus lived in North America. Hadrosaurus was a herbivore (plant-eater). Hadrosaurus was about 30 feet (9.1 meters) long. Hadrosaurus weighed about 7 tons. 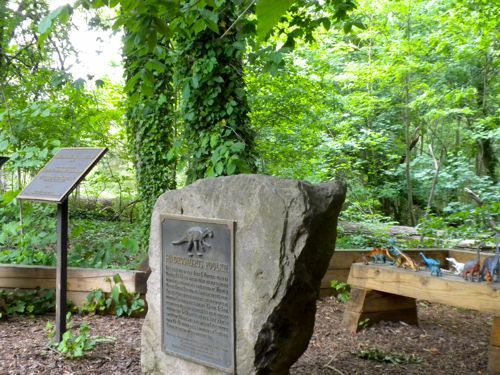 Hadrosaurus is the official state dinosaur of New Jersey. ❤️ Material: High-quality natural wood, safe and nontoxic, no smell. No glue or tools required. Safety and environmental protection. 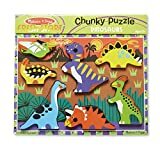 ❤️ Features: This unique model toy can be stained, Lacquered, painted, or left as is.This is no ordinary puzzle craft kit! It helps building your kids' creative minds. 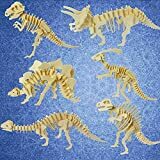 ❤️Gift for: Collect them all,it's very interesting and simple, Good choice for Christmas, Birthdays, Grand kids, Boys and Girls.Also a great gift for friends as a home decoration.A great way to spend time with your kids while building the model toy together. This unique model toy can be stained, Lacquered, painted, or left as is. Assemble the wood craft kit step by step according to the English Instruction with Illustration. Not only that kids will get fun with it, but also learn hand-eye coordination,fine motor skills and problem-solving skills. it brings unforgettable times of working together on projects between you and your kids. A super awesome bond for family ties. It's time to get closer with your kids! Please select LoveInUSA seller--Thank you! Appreciate our HADROSAURUS DINOSAUR one-piece skeleton for its scientific accuracy. This is an excellent affordable educational gift for young and old who are curious about extinct animals. Something new and unique for little dinosaur lovers. There are all together 4Pcs to choose from. Safe and delicate design. 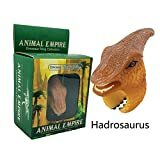 Each dinosaur action figures is unique and hand painted for kids and adult to play with. 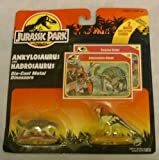 Hadrosaurus " Corythosaurus" Model Kit 70375 Over 7" Long and 5" high Assembled Paintable . Like- Like detail , easy to assemble.skill level 2. Highest quality Rubber, Won't crack over time.